My baby boy has been quite mobile for a while now, and, although he has happily climbed up on things like the dishwasher lid and my middle child’s bed which is about 8″ off the ground, he has never really shown much interest in the stairs. Until today. I was upstairs with my oldest one when my husband suddenly called for me to come and look at something. That something was my baby climbing up the stairs. It was the first time he had ever done it and he seemed to have no trouble going from step to step and, most importantly, he made it all the way up. 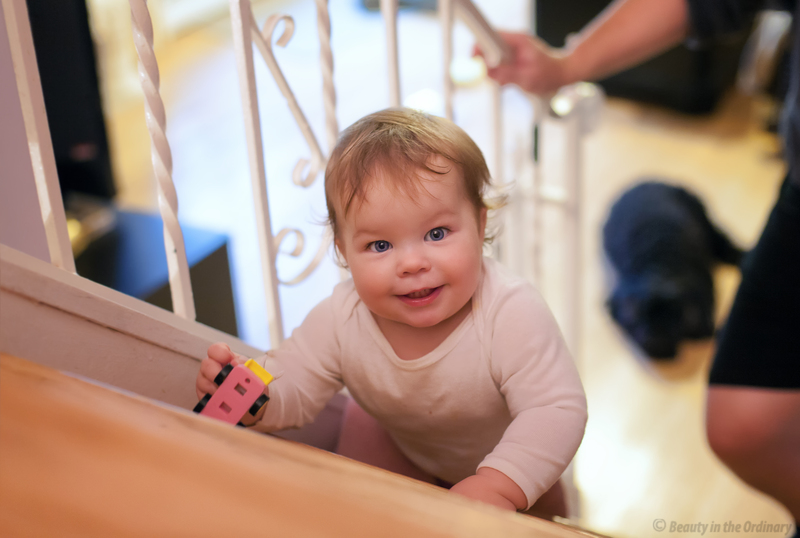 I’m not one to babyproof the house, but with a little 10-month-old stair climber we may just need to put up a baby gate.